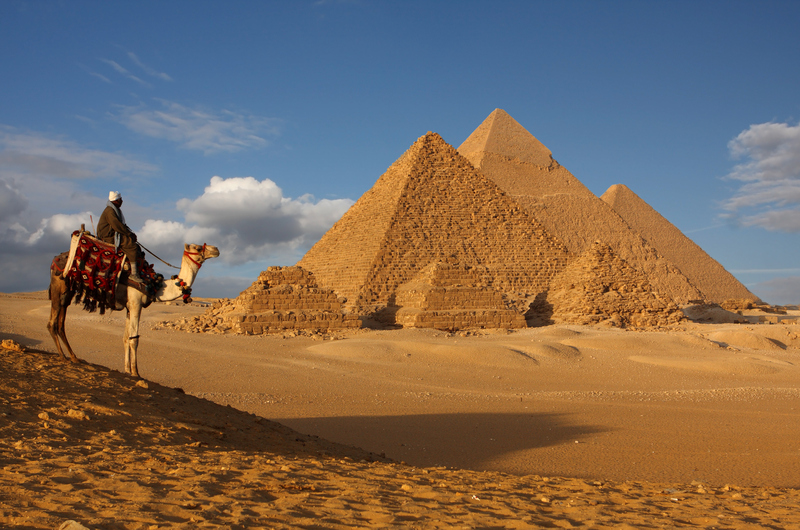 Loaded with marvels, monuments and mummies, Egypt can seem like one vast open-air museum. But a visit doesn't have to be just about long-gone grandeur. The pull of Egypt's wide arcing history may be what brings you here, but beyond the dusty treasures, the modern beat of this nation begs to be explored. The Pyramids of Giza, last standing wonder of the ancient world, sit on the edge of the capital where the high-rises run out and the desert begins. Saddle up and take a dawn horse ride on the Giza Plateau as the soft morning light casts a glow over the stonework of these triumphant Pharaonic mausoleums. Although built over 4,000 years ago, these aren't the oldest pyramids the city outskirts contain. Head a little further out of town (and further back in time) to witness how the pharaohs' first pyramid prototypes came into existence. Visit Saqqara for Egypt's oldest pyramid, the Step Pyramid of Pharaoh Zoser. Head to Dahshur to visit the Red Pyramid and Bent Pyramid; both demonstrate how the ancient Egyptians advanced their engineering know-how with the construction of these first smooth-sided structures. Afterwards, brush off the dust of centuries and head into Cairo's thumping heart to experience a dose of this city's modern, exuberant energy. Make a beeline for the buzzing district of Zamalek, a whirling centre of the capital's café culture and lounge scene. Munch on Egyptian street-food classics reinterpreted with contemporary tweaks at Zooba before strolling on to Sequoia for mojitos Nile-side. Staying at Fairmont Nile City means you're near all the downtown action and right alongside the Nile. Bask in the glamour of Cairo's Belle Époque heyday in an art déco inspired room while watching pleasure boats and lateen-sailed feluccas drift along Africa's mightiest river from the large picture windows. 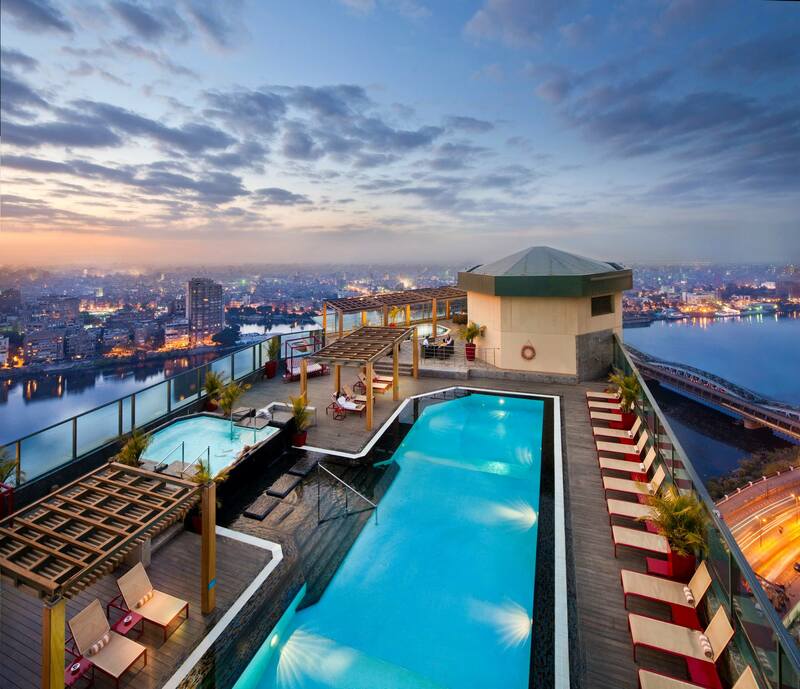 For the best vistas and glimpses of the Giza Pyramids in the distance, head to the rooftop, where you'll find the city's highest swimming pool. Swim a few laps, and then relax with a cocktail in hand at Sky Pool. 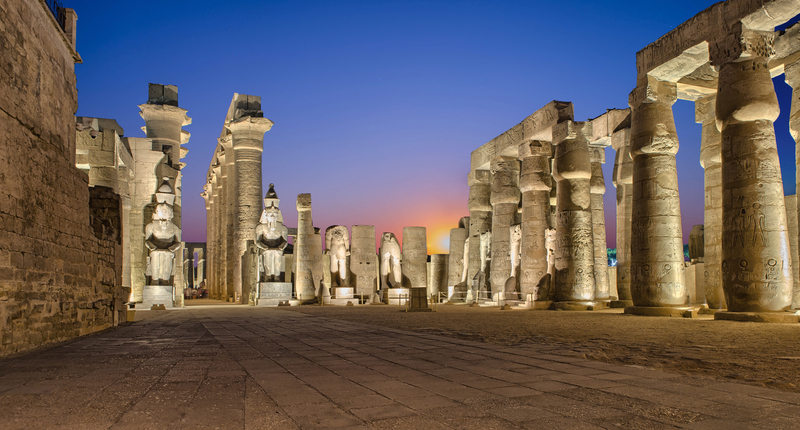 Egypt may be the capital, but head south, down the Nile Valley into Upper Egypt (up being down in Egypt) to Luxor where you'll discover the full splendour of the Pharaonic age. Wander through the forest of colossal columns within the Temple of Karnak to evoke a sense of the pomp and ceremony which this ancient civilisation swaddled itself in. Then head across the Nile to Luxor's west bank to view the Valley of the Kings and see how the pharaohs took all that grandeur to the grave amid vibrantly painted tombs. While exploring the west bank's necropolis of memorial temples and tombs, don't miss one very contemporary addition to Luxor's sights. The exact replica of Tutankhamun's burial tomb, recently interred in the gardens of Howard Carter's house where the archaeologist lived (while searching for Tutankhamun's tomb), is both a tribute to contemporary archaeology and much needed modern effort to help conserve the original tomb. After all that time dwelling on antiquity, make some time for Egypt's modern pleasures with a side trip to the Red Sea. 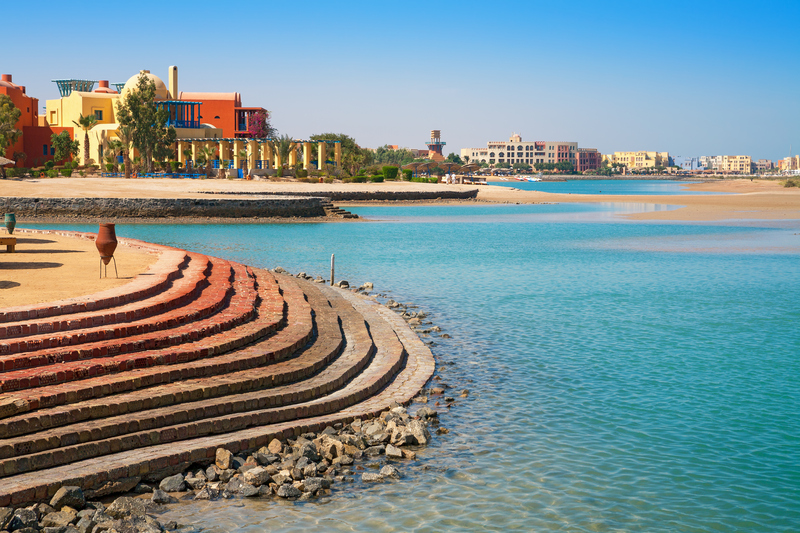 Devoted to sun, sand and some of the most spectacular diving on earth, El Gouna is only five hours east of Luxor but an entire world away. This is modern Egypt at play and a refreshing dose of chic resort life for when you're feeling templed-out. It's also an excellent opportunity to discover some of the country's underwater treasures, with the Red Sea's famed Giftun Islands and Gota Abu Ramada dive sites both easily accessible by boat. Of course, you could also choose to simply sit back and soak up the sun on the beach. Swap Pharaonic might for the contemplative beauty of Islamic architecture on your return to the city. Explore the medieval district of Islamic Cairo, home to a wealth of mosques and madrassas built by the Fatimid and Mamluk dynasties. 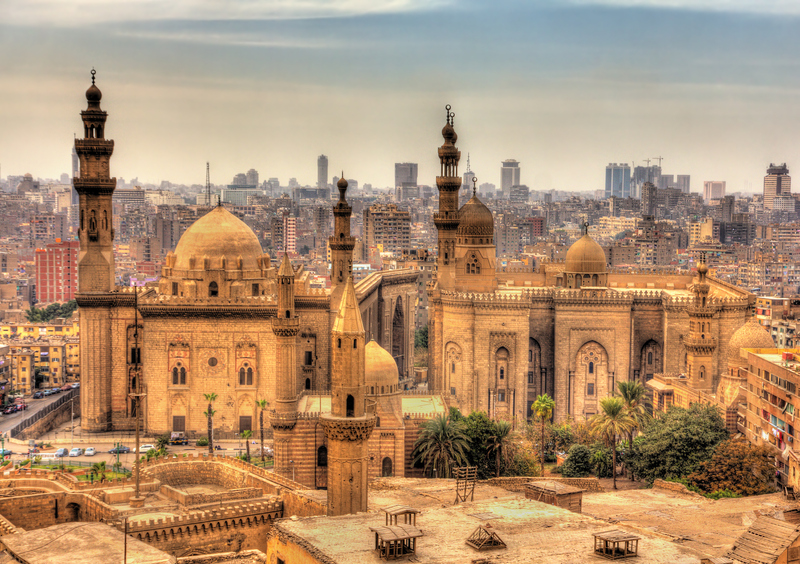 Don't miss Al-Azhar Mosque, founded in the 10th century under Fatimid reign. Then dive into Khan al-Khalili, a 14th century marketplace, filled with stalls selling everything from trinkets to housewares, and home to the workshops of artisans who keep Egypt's craft heritage alive. While in the market, find your way through the alley maze to El Fishawy Café for a coffee or tea; this is Cairo's most famous coffeehouse, in business since 1773. Afterwards, check out the Mosque-Madrassa of Sultan Hassan to see the soaring symmetry of Mamluk design. 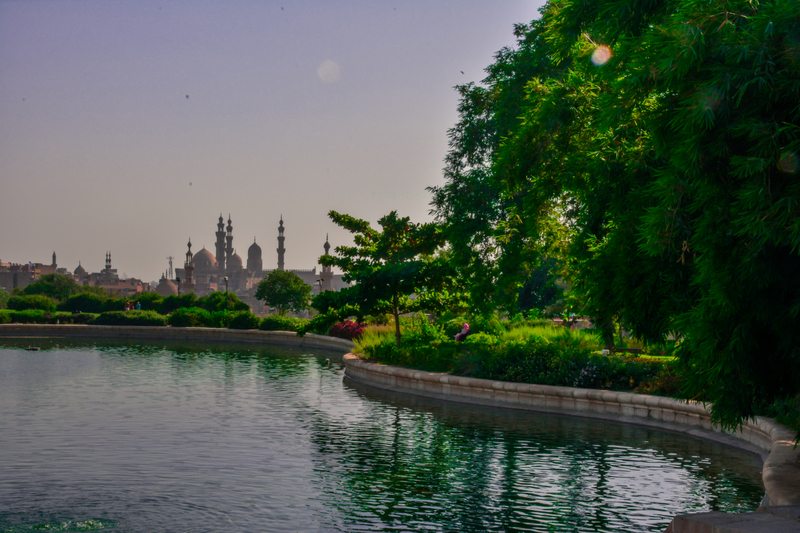 Finish off your Islamic Cairo wanders at Al-Azhar Park. This vast oasis of greenery, with lanes rambling through shaded gardens to a tranquil lake, may be one of Cairo's most peaceful spots. This modern wonder of ingenious landscaping design is the perfect place to ponder and bridge the divide between Egypt's vast history and the present day. For a less hectic Cairo scene at the end of your Egypt travels, stay out of the city centre at Fairmont Heliopolis & Towers. Relax in the elegantly designed rooms with state-of-the-art multimedia amenities, and choose a sunbathing spot beside one of the three pools set amid lush, palm-shaded gardens. Only a five-minute drive from Cairo International Airport, this hotel is a soothing retreat to top off your journey through Egypt. After five years leading adventure-tours through the Middle East, Jessica Lee switched to writing about the region full-time. She is the author of Footprint Handbooks' Jordan and Lonely Planet's Egypt, Morocco, and Turkey guidebooks. Her travel writing has also appeared on BBC Travel, CNN Travel, and National Geographic among others.